Magnolia ornaments. This ornament reminds you of the sweet and fresh fragrance found in southern cities. 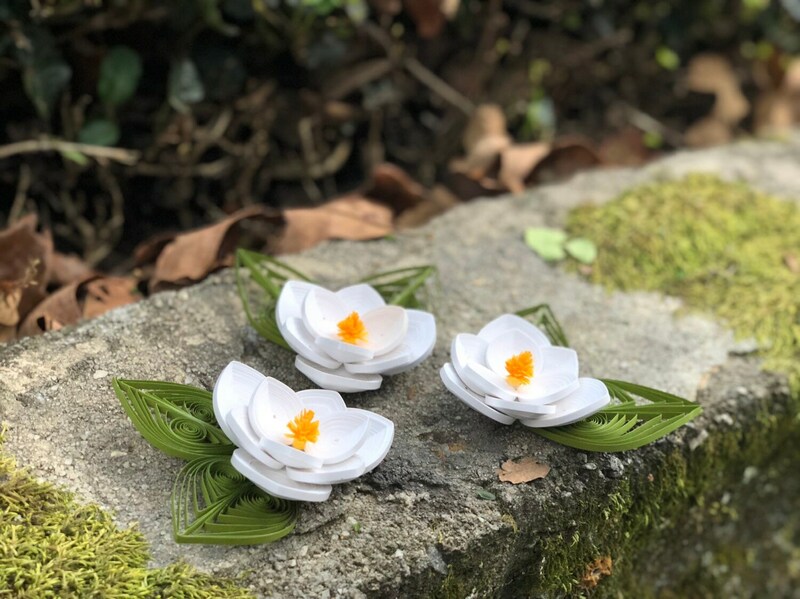 This is a one of a kind, handmade quilled white Magnolia flower ornament. You will receive one unique 4” across magnolia made with white, yellow and green 1/8” wide paper. 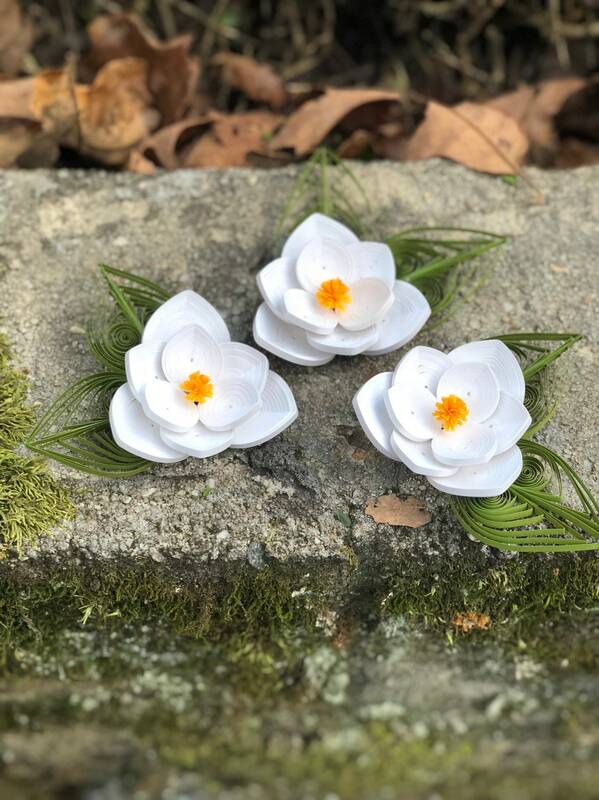 I have also sealed this beautiful magnolia with a clear sealant to enhance the durability of the decoration so you will enjoy it for years to come! This would be a wonderful Christmas ornament or gift! 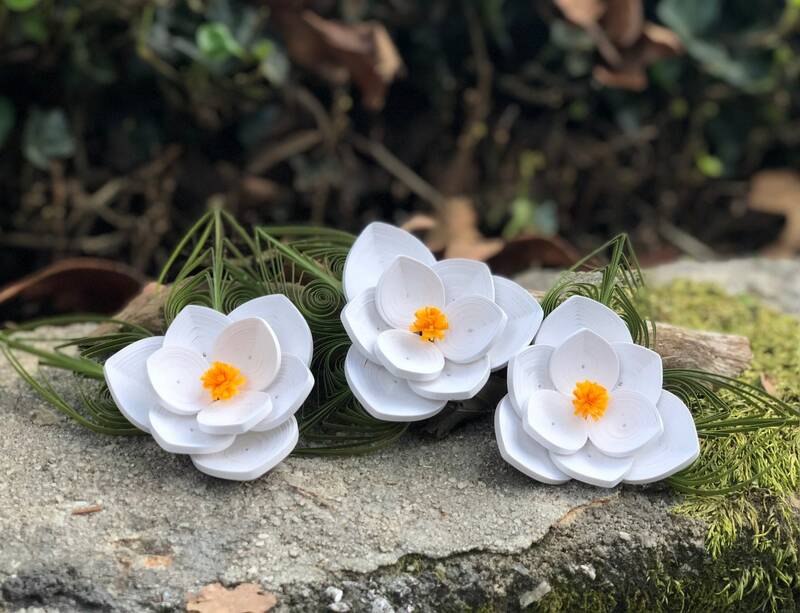 1st wedding anniversaries are traditionally celebrated as the paper anniversary so this would also be a great gift for a 1st wedding anniversary gift!